A beaming World Marathon Challenge champion, Gary Thornton. 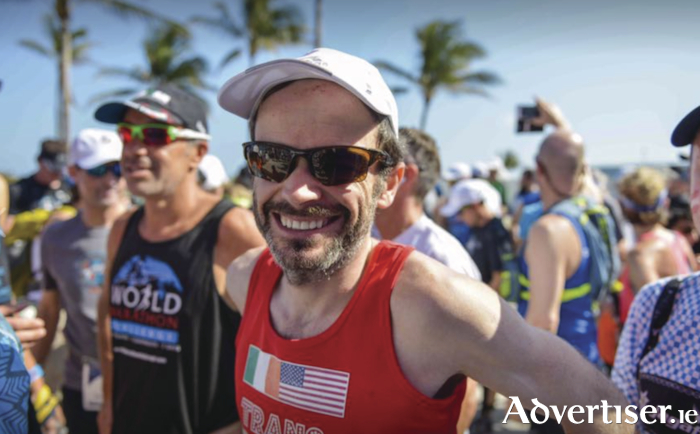 Galway athlete Gary Thornton crowned a remarkable week when he was named 2018 World Marathon Challenge men’s champion after winning the final leg of seven marathons in Miami on Tuesday night. The runner from Galway City Harriers produced a remarkable feat of winning seven marathons in seven days to take the title. The challenge which involves an entry fee of €36,000, sees competitors complete seven 26.2 mile races over seven continents - Novo (Antarctica ), Cape Town (Africa ), Perth (Australia ), Dubai (Asia ), Lisbon (Europe ), Cartagena (South America ), and Miami (North America ). Athletes run a total of 183.4 miles and their times are added together to decide the champion. The primary school teacher has won marathons in both the North and South Poles in the past and crossed the finishing line in Miami with a time of 3.21.19. Thornton’s fastest finishing time came in the sub zero temperatures of Antarctica (-15 degrees Celsius ) at 2.58.39. He also ran a sub three hour marathon in the third race in Perth, completing the race in a time of 2.59.55. A celebration will be held for Thornton by staff and pupils to welcome him home later today. The record for the fastest duration is held by Richard Donovan, another Galway man, who completed the epic challenge in four days, 22 hours, and three minutes.